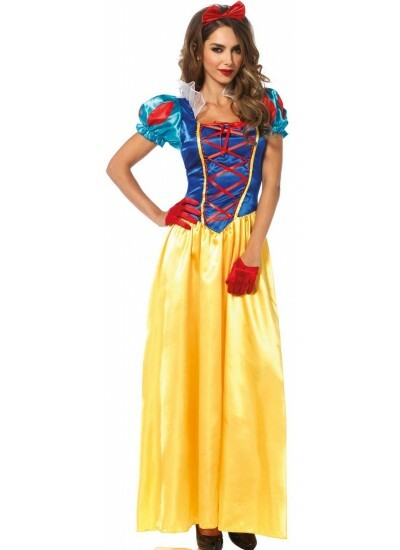 This Classic Snow White costume is a Halloween favorite. 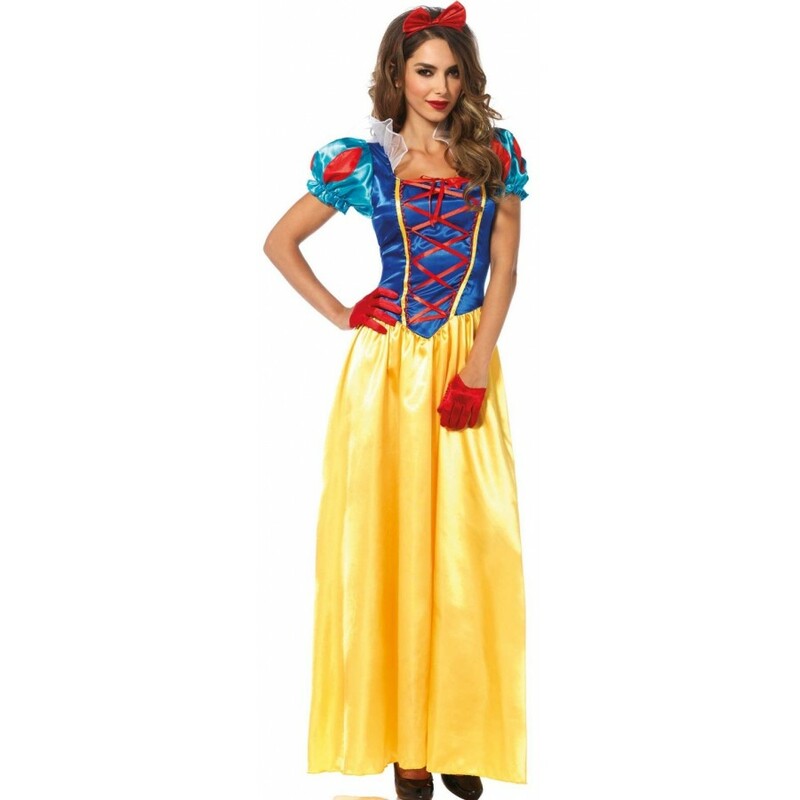 Step right out of the Disney movie in this Classic Snow White costume. It features the long gown with blue corseted top and full yellow skirt, blue and red puffed sleeves, and gold trim. It comes with the matching bow headband. Item Number: LA-c85407 | Approximate Size (Inches): 10.00 wide x 2.00 deep x 14.00 high | Approximate Shipping Weight: 2.00 lbs.